Fits most digital cameras without a zoom lens. At last you can capture all those unmissable moments, using your own camera. 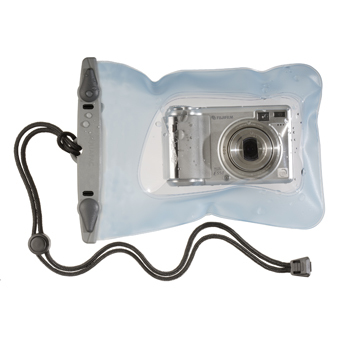 Thanks to Aquapac's optical-quality LENZFLEX material, taking photos while enjoying the outdoors at its best and worst is no longer a problem. Take pictures while out on the water – and in the water too! Fits small digital cameras without a zoom lens. The UV-stabilized TPU material won't be broken down or discolored by sunlight. A packet of 5 re-usable, re-indicating desiccant sachets. These will help absorb any condensation in the air inside the case.